Acupuncture is one of the oldest healing practices in the world.–dating back for at least 2,500 years. Proponents say it can do everything from relieving pain to bringing a general sense of wellness. The general theory of acupuncture is based on the premise that there are patterns of energy flow called Qi (pronounced “chee”) throughout the body that are essential for optimal health. Qi is believed to flow through meridians, or pathways through the body. In its 2500 years of development, a wealth of experience has been accumulated, attesting to the wide range of diseases and conditions that it can effectively treat. 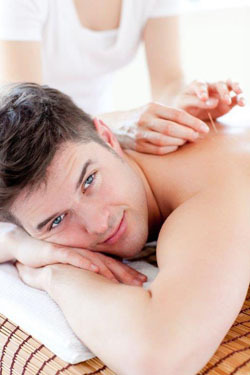 Acupuncture aims to restore balance and maintain health through the stimulation of specific points on the body. Extremely thin needles are inserted in the skin at strategic points along these meridians to re-balance energy flow. Adverse side effects of acupuncture are extremely low and often lower than conventional treatments. A consensus panel convened by the National Institutes of Health (NIH) in 1997 concluded there is clear evidence that needle acupuncture treatment is effective for postoperative and chemotherapy nausea and vomiting, nausea of pregnancy, and postoperative dental pain. 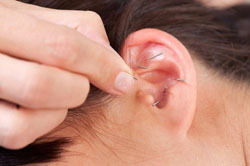 Acupuncture techniques stimulate the nerves, muscles and connective tissues at these meridian points that result in boosting a body’s natural painkillers and increased blood flow. Dr. ChinQuee is fully versed in this technique, having studied under Dr. Joseph Helms, who has been the driving force behind the emergence of medical acupuncture as a discipline in modern medicine. Dr. Helms is the founding president of the American Academy of Medical Acupuncture.